Last Saturday morning dawned bright, sunny and crisp – the perfect weather for running! 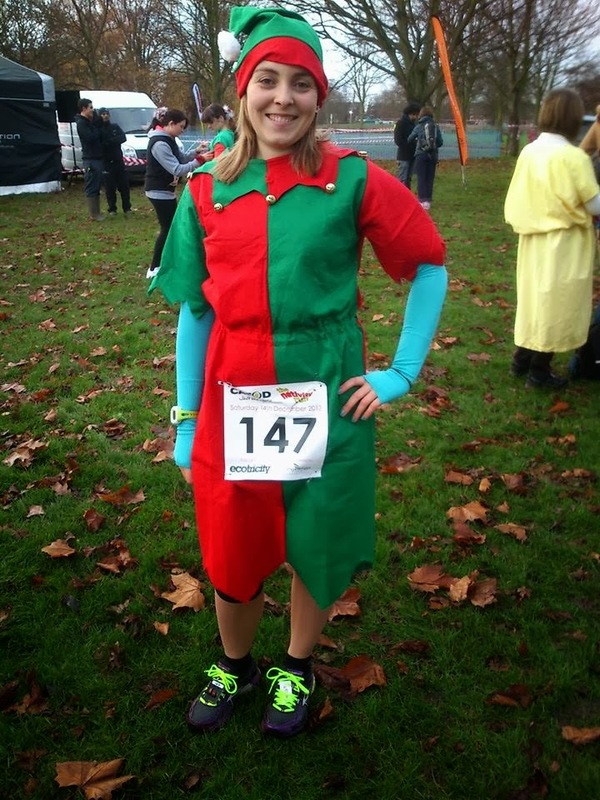 The Cafod Nativity Run is an annual event, where participants dress up as a “Christmassy character” and run (or walk!) their way around a 5k or 10k course on Clapham Common. Leah had organised for us all to wear the same costume which I must admit, looked pretty cool! And definitely got us in the Christmas spirit. 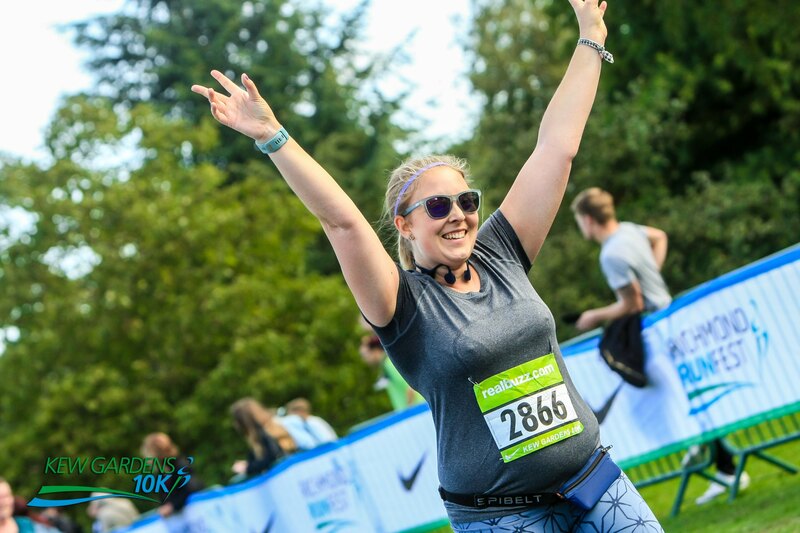 I’d originally signed up for the 10k, but with my knee issues and other difficulties in my personal life, I have been taking the running quite easy recently. 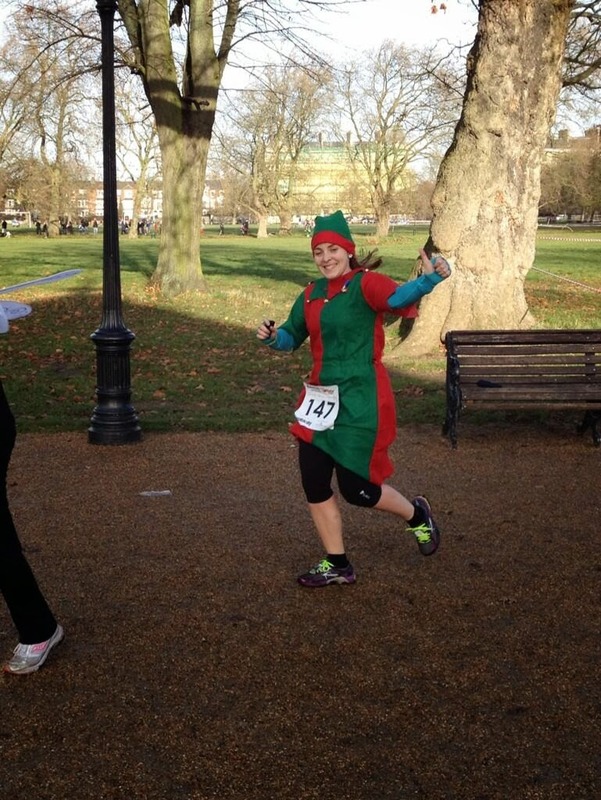 So the 5k course sounded like the perfect “fun run” to finish the year! 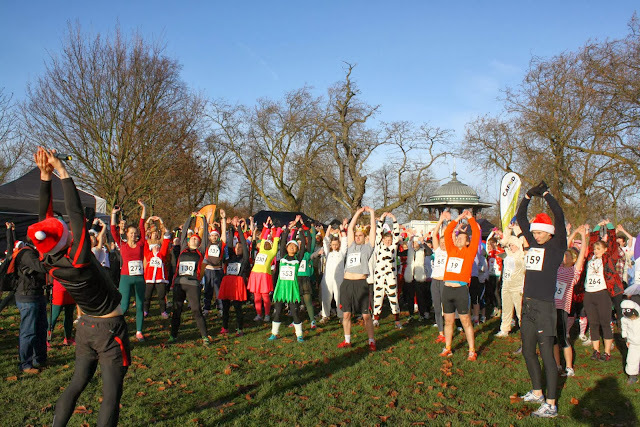 Cafod were brilliant about letting me change my entry, even refunding me the difference between the 5k (£10) and 10k (£15) price, which considering they’re a charity is pretty generous. There was a warm-up before the start, and a free baggage drop as well. It was quite entertaining seeing sheep, santas, wise men and elves doing stretches and high-knees before the race! 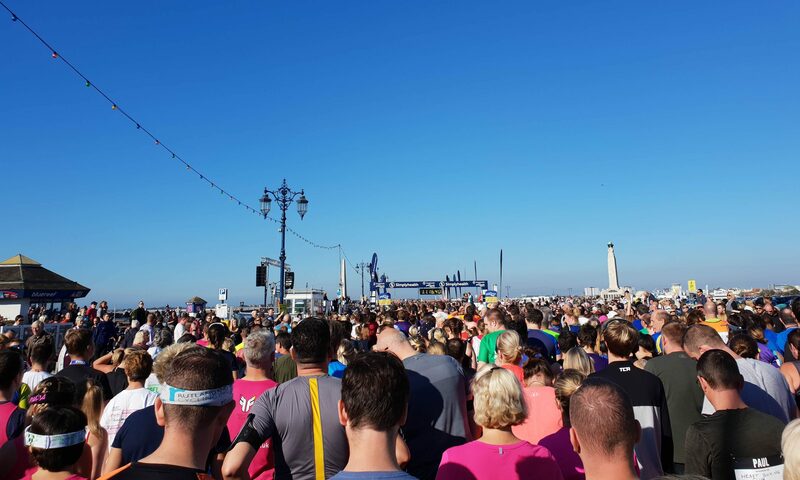 It being a fun run, the start was very casual but still well-organised, and we all set off across the line soon after 10:30am. We did all in fact have timing chips on our shoes, but for me this was about finishing off 2013 with an enjoyable run in the sunshine, surrounded by running and blogging friends – all of whom I didn’t know at the start of the year! 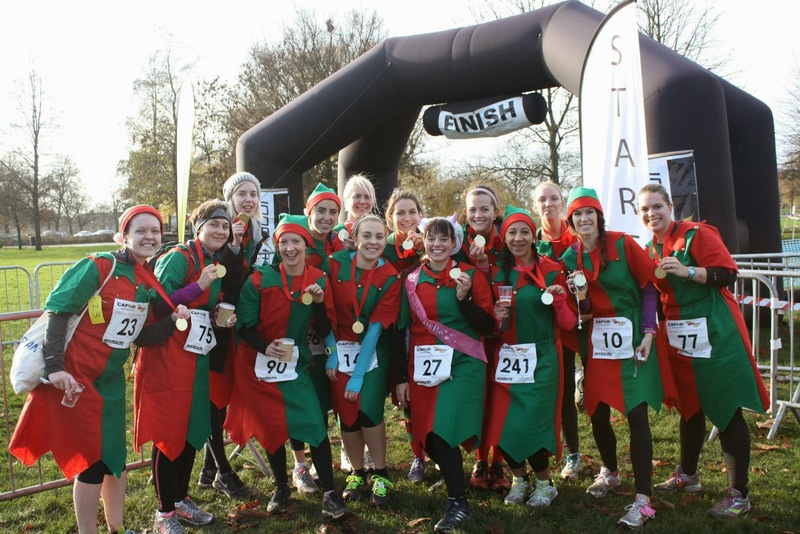 The course itself was windy, muddy and undulating – I loved it! 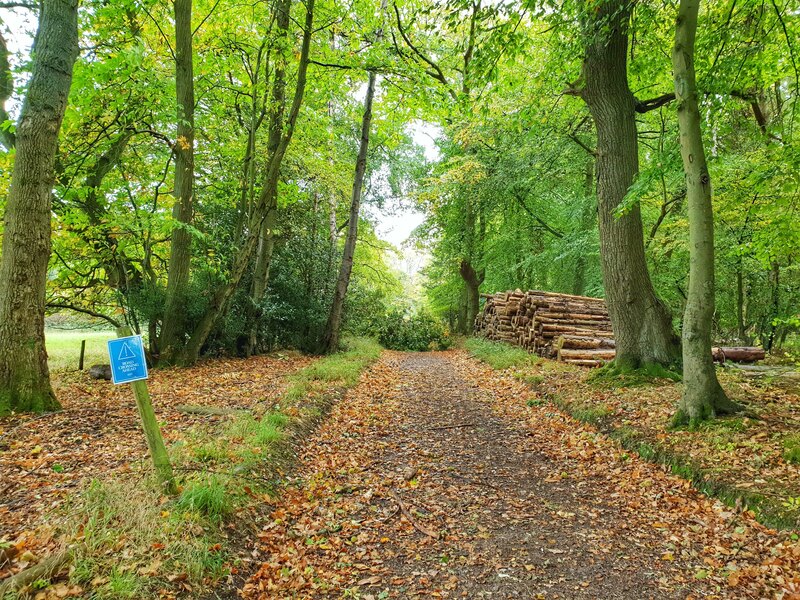 I really enjoy a bit of “off-road” running, and the bizarre twists and turns (which were apparently supposed to make the course look like a snowflake) kept you on your toes and made the route more interesting. It was also great for spectators due to the doubling-back and passing by the bandstand in the centre of the Common several times! I also managed to snap a few shots of some of the interesting costumes of people passing me by… Nothing like being overtaken by a sheep! 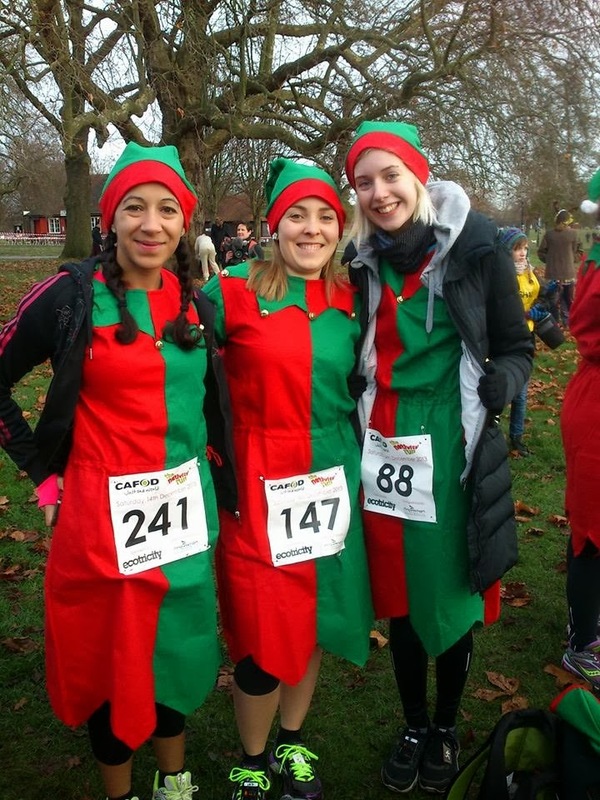 At the finish line, we were handed mince pies, mulled wine or hot chocolate and water – yum! 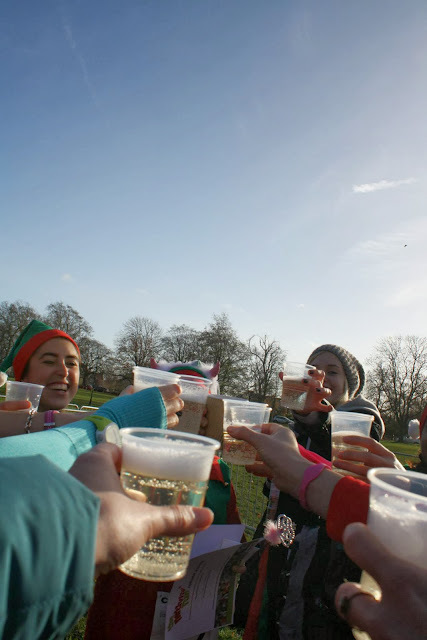 Some of the girls of Team Naturally Run had also turned the event into an impromptu engagement party for Leah, so champagne of course had to be added to the celebrations! 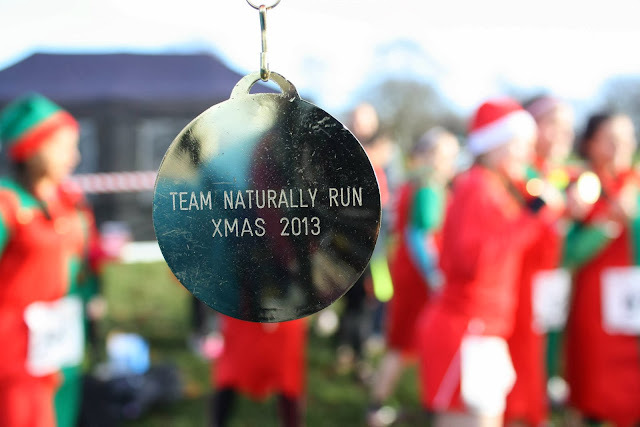 I had such a great morning, and it was a brilliant way to finish off my running year. 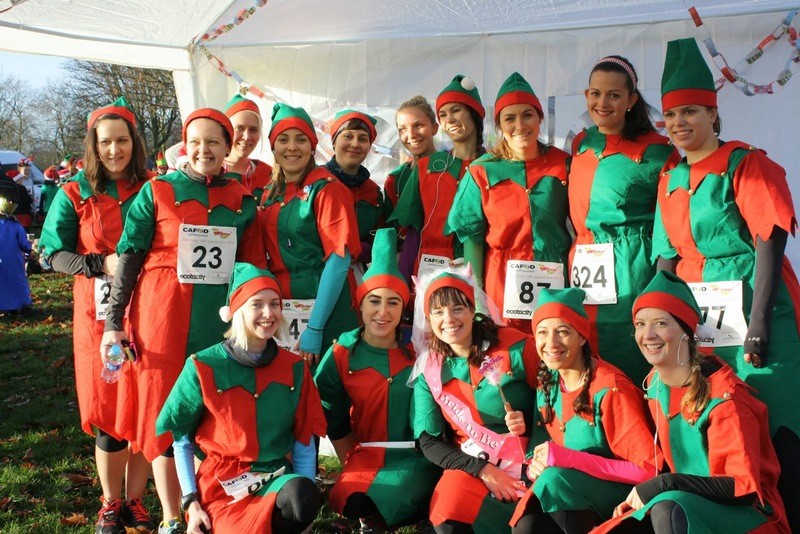 I can’t wait to race with these girls again – Leah’s organisation of the group has been amazing, and I feel so lucky to have met all these wonderful runners and friendly faces! NB: Thanks to Leah and Katy for some of the photos.